How Does Electricity Move From the Wind Turbine to the Businesses and Communities That Buy It? Transformers change the voltage of a power supply to meet the needs of individual consumers, specific appliances or subsystems within an appliance. As the names imply, a step-up transformer converts power to a higher voltage and a step-down transformer reduces voltage. A community power grid includes a series of transformers for regulating voltages. Consumer electronics and appliances also use transformers to distribute differing voltages. Two wires carrying voltage from a power source wind around an iron core in a primary coil. An additional wire winds around another part of the iron core in a secondary coil to create a transformer. A step-up transformer has more wraps around the secondary coil, and a step-down transformer winds the primary coil more. The voltage changes based on the difference between the number of winds on the two coils. It is possible to use the same iron core to transform the voltage to both higher and lower values. Multiple transformers use additional secondary coils. One secondary coil has fewer wraps than the primary coil, which generates lower voltage. Another secondary coil has more wraps than the primary coil and works to increase voltage to supply greater power to another component or circuit. The component works as both a step-down and step-up transformer. Doorbells illustrate a common voltage step-down application. Typical doorbells use 16 volts, but household power circuits carry 120 volts. A step-down transformer receives the 120-volt power wires and reduces the current to a lower voltage before delivering the power to the doorbell. Utility companies use step-down transformers to lower power line voltage going to individual buildings. Step-down applications also send power to low-voltage indicator lights in 240-volt appliances. A common step-up application is the starter for an electric motor. It takes a lot of voltage to initially start a motor turning. Step-up transformers provide that extra power even though the appliance uses standard 120- or 240-volt power. 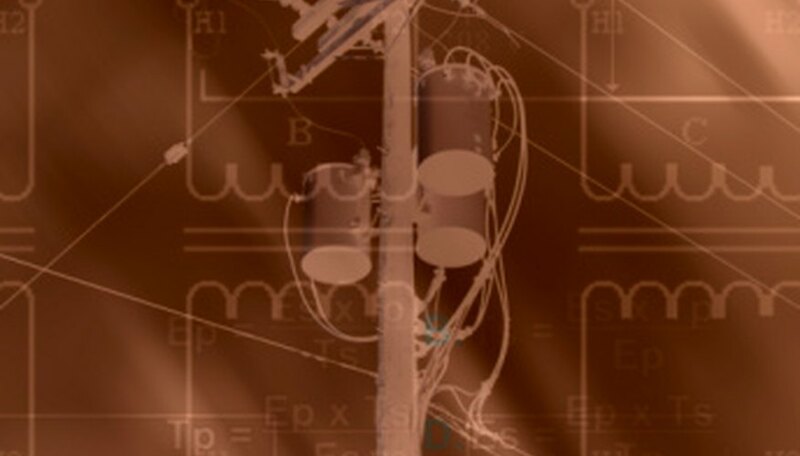 Power companies transmit power across long distances using large-scale step-up applications. Transformers make power distribution possible for metropolitan electric grids. These transformers elevate voltage and push current in large and small circuits. How Does a DC to AC Power Converter Work? Springs, Jonra. "Difference Between Step-Up & Step-Down Transformers." Sciencing, https://sciencing.com/difference-between-stepup-stepdown-transformers-8698640.html. 25 April 2017. How Does Nuclear Energy Get From the Plant to the Customer?